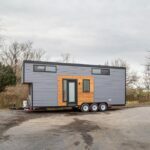 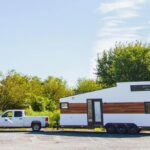 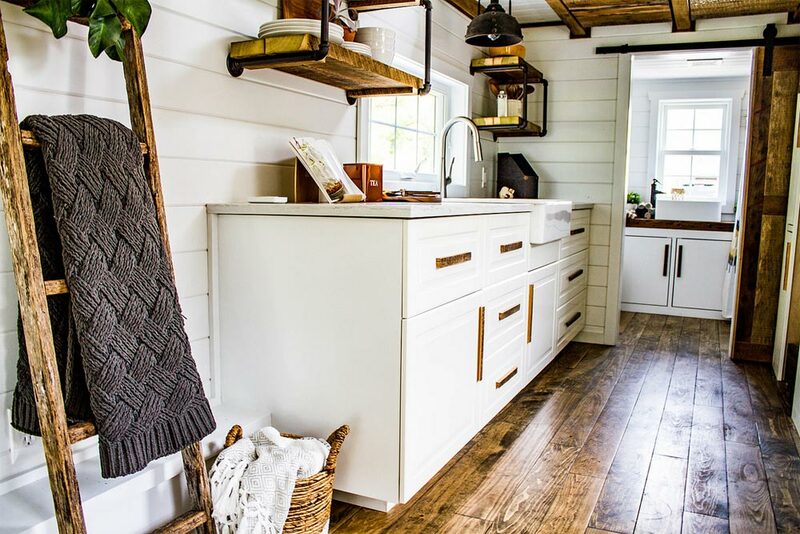 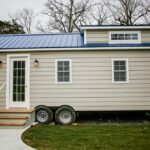 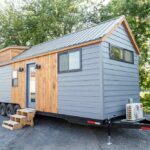 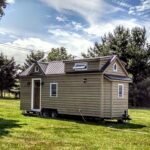 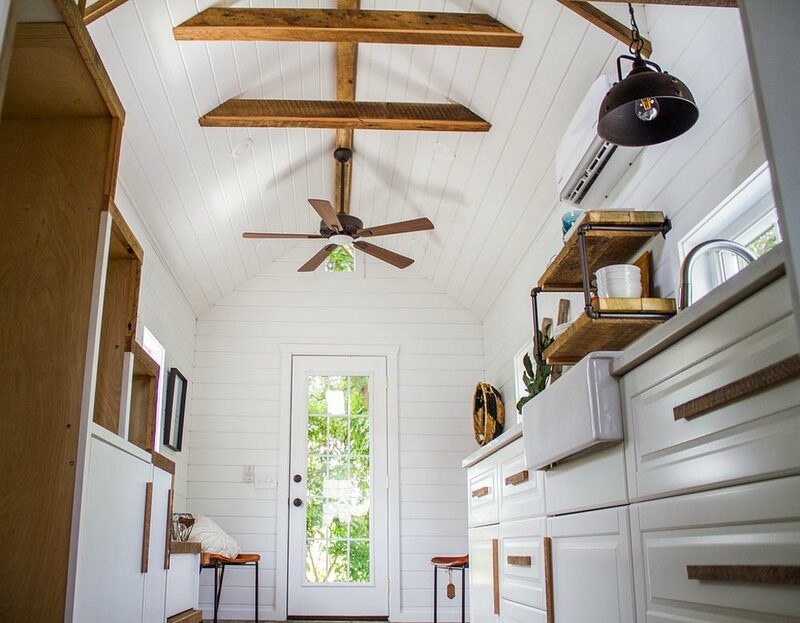 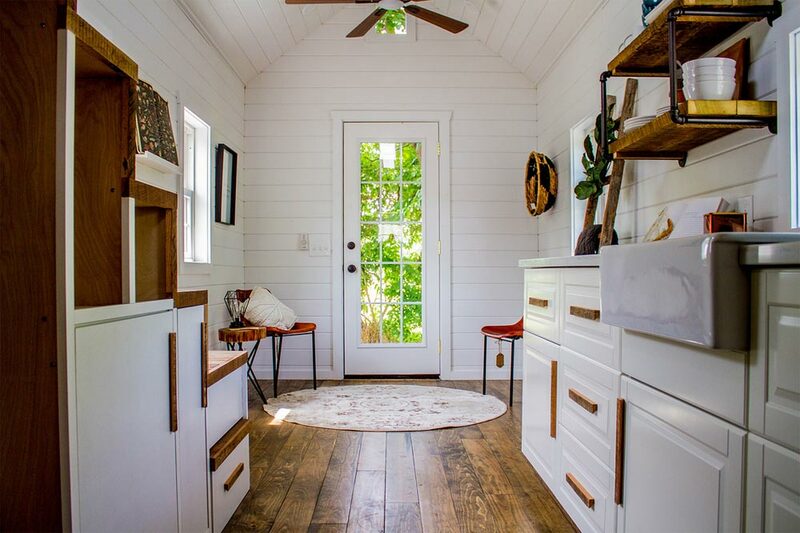 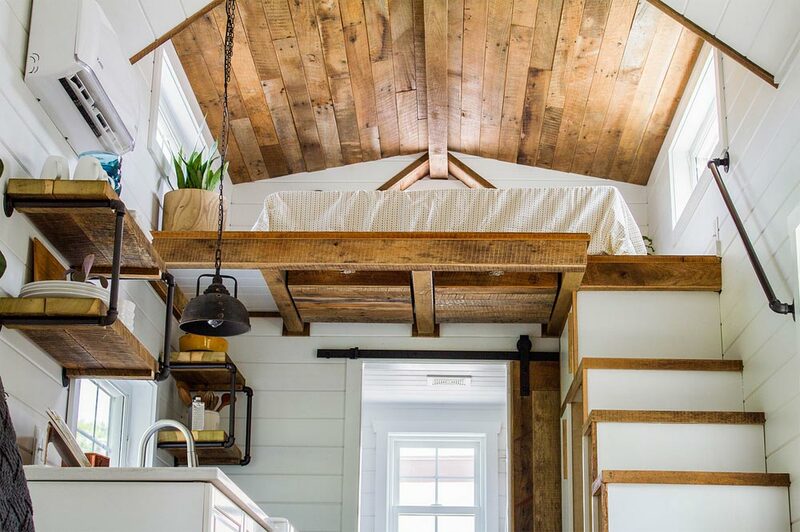 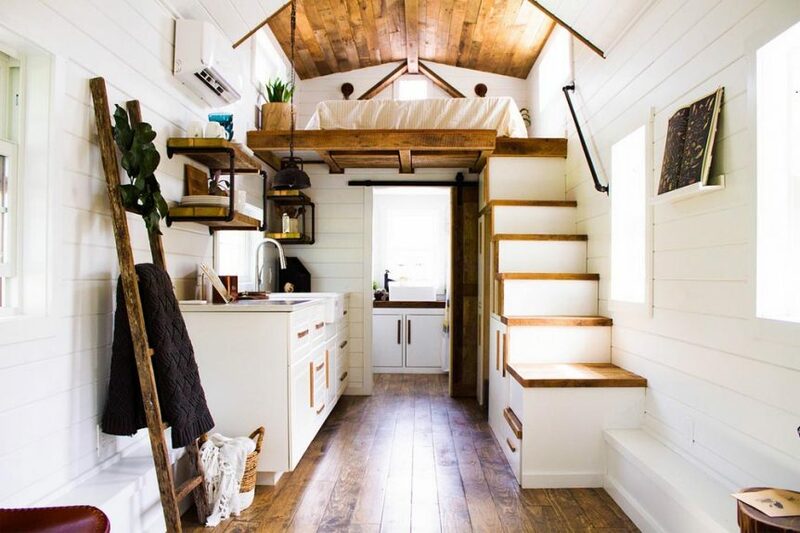 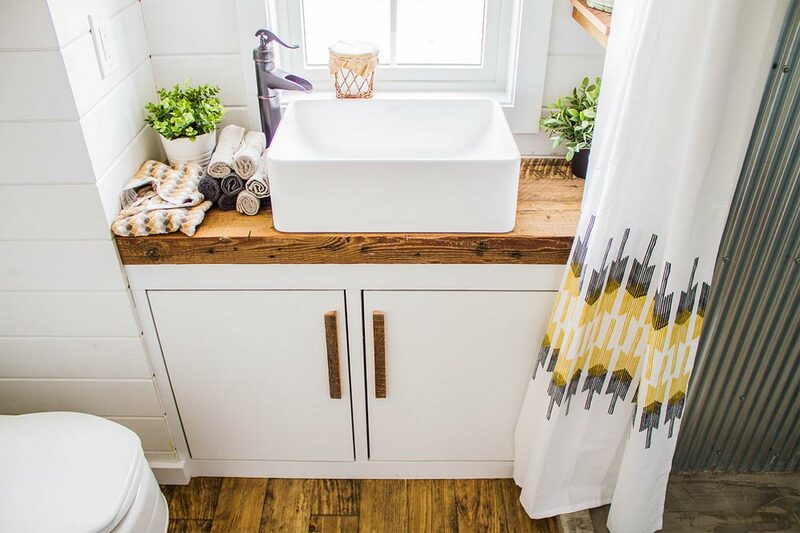 The Farmhouse Take Four is another custom designed tiny home based on Liberation Tiny Homes‘ signature Farmhouse model. 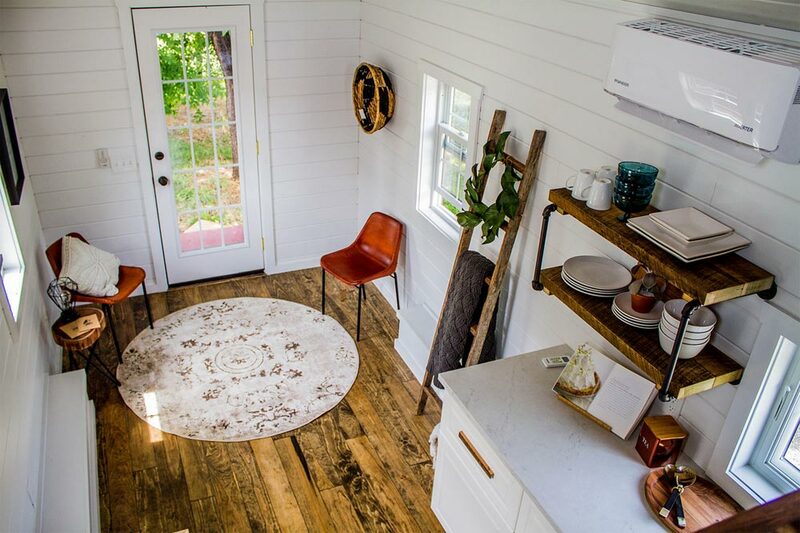 The 24-foot home has a modern, sophisticated style with bright whites mixed with warm wood finishes. 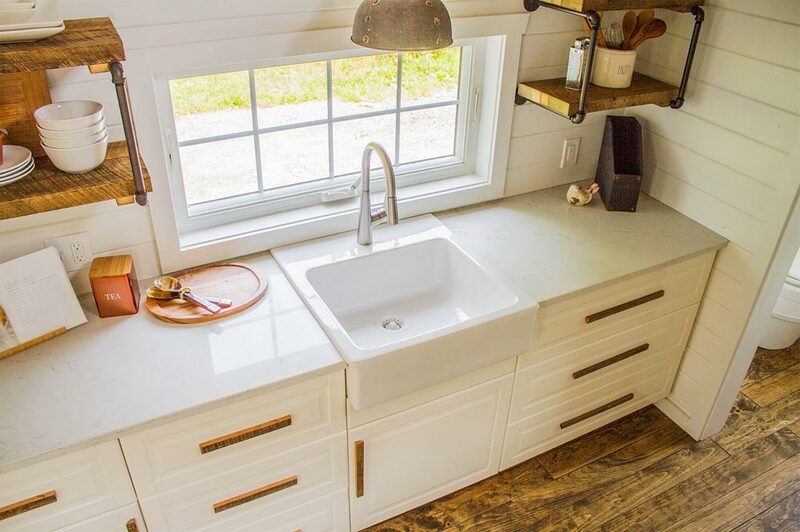 The kitchen features light granite counter tops, white cabinets with wood handles, open shelves, and of course a farmhouse sink. 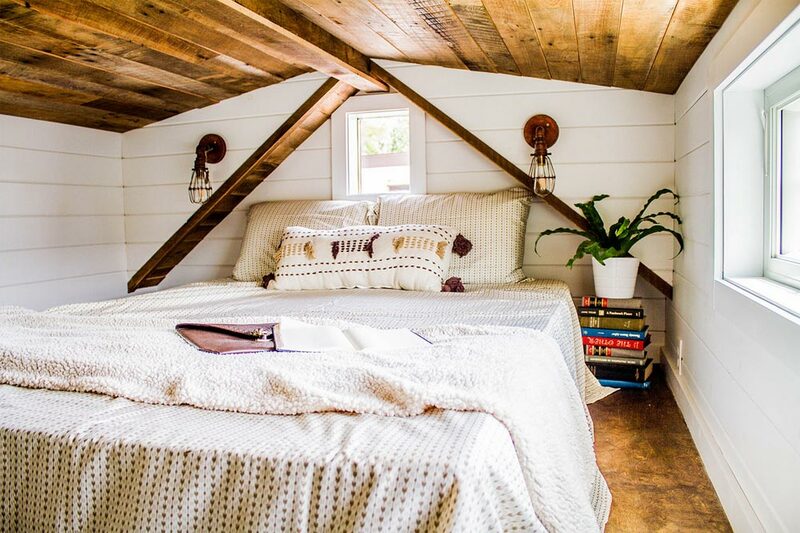 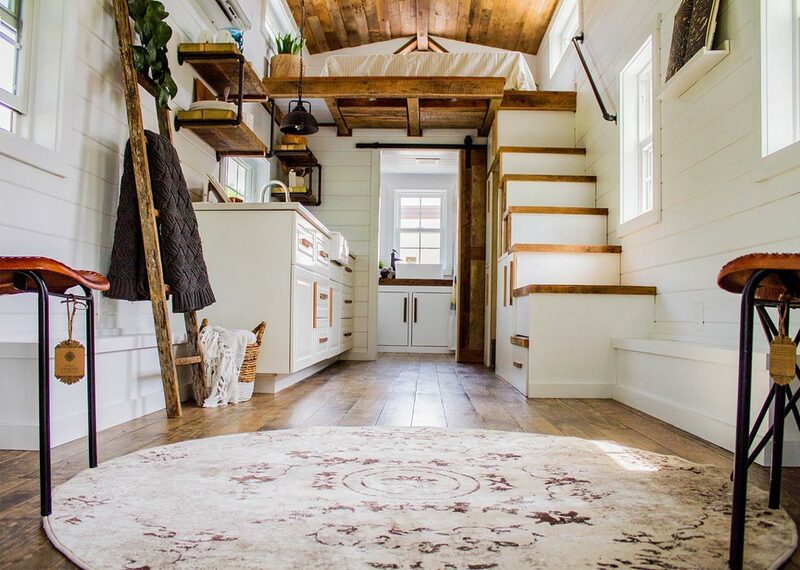 Above the kitchen and bathroom is the master loft with a reclaimed barn wood ceiling that matches the flooring and exposed beams over the living room. 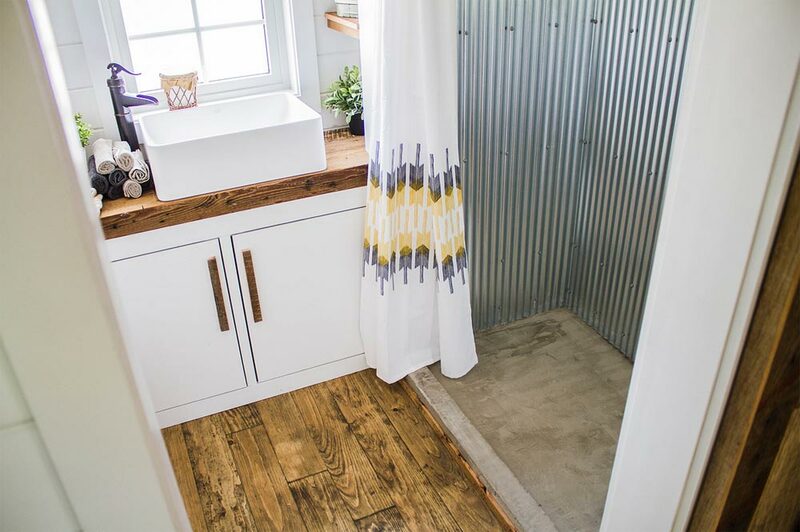 The bathroom includes a shower with concrete pan and corrugated metal walls, vessel sink set on a wood counter, and composting toilet.